(by Lincoln Mitchell, Observer) — A few years ago on Yogi Berra’s birthday, I Tweeted out a birthday greeting with a link to a YouTube video of his career highlights. A British Twitter follower responded to my Tweet by telling me he had not been aware that Mr. Berra was in fact a real person. 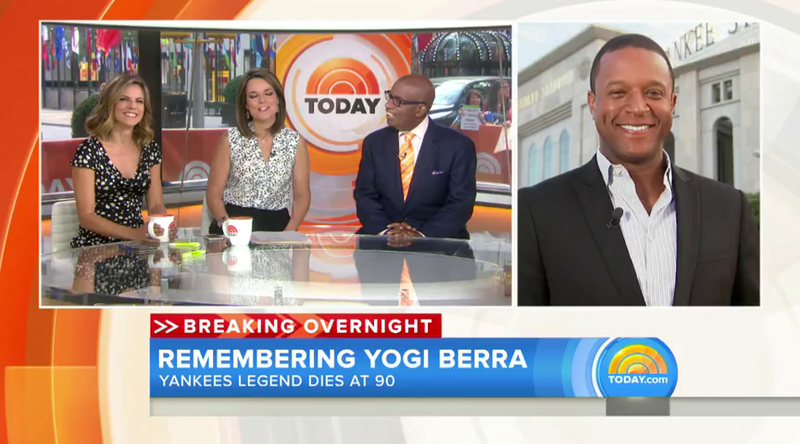 Yogi Berra, who died Tuesday at 90 years old, was a very real person. He lived a long life, but in recent year was better known for his malapropisms than for his accomplishments with the Yankees or the extraordinary life he led off the field. Casey Stengel, perhaps the greatest Yankee manager of all, was once asked what the secret to his success was. He responded that one secret was having Mickey Mantle in centerfield, but the other was never playing a big game without Berra behind the plate. 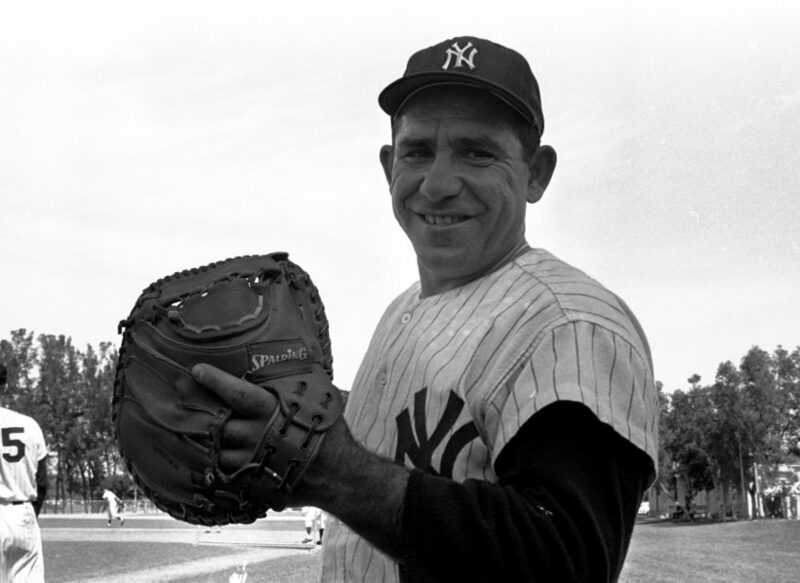 No Yankee, not Ruth, Gehrig, Mantle, DiMaggio or Jeter played on more Yankee championship teams than Berra. Berra’s on the field accomplishments are hard to summarize briefly, but he won three MVP awards, was an All Star for every year from 1948-1962, hit with power, handled pitchers extremely well and was one of the smartest players in the game. Berra is on the short list of greatest catchers ever. Additionally, in his first year as a manager, his 1964 Yankees won the pennant. Nine years later he took a pretty mediocre Mets team to within one game of winning the World Series. Mr. Berra’s baseball career has been chronicled elsewhere, including his Hall of Fame plaque and various statistical measures. However, Mr. Berra was also a man of great character, strength, pride and integrity. Born Lawrence Peter Berra, Yogi grew up in a heavily Italian American neighborhood of St. Louis known as the Hill. As a child he played a lot of baseball and drew the attention of the St. Louis Cardinals, a team that by the early 1940s had the best and most innovative farm system in baseball. The Cardinals, recognizing how good the young Yogi was offered him a $250 signing bonus, but Berra turned it down The Cardinals had offered $500 to another Italian-American catcher from the Hill, Joe Garagiola. Berra turned down the Cardinals’ offer because he believed he was a demonstrably better player and therefore deserved at least as much as Mr. Garagiola. Mr. Berra thought because he was a demonstrably better player. Berra was right; and fortunately for Yankee fans, the Yankees saw that and offered him the $500. Mr. Berra may not have looked like a sailor, but he served bravely and heroically in World War II. At the invasion of Normandy, his six man Navy rocket boat was one of the first to hit the shore. Their mission was to soften up and draw out enemy positions. That is a military euphemism for shooting a lot and take a lot of casualties. Mr. Berra remained proud of his military service for the rest of his life, but he never spoke about it much, or drew attention to his heroism. Over the years, Yogi developed an image as something of a clown because of the funny things he may or may not have said. Mr. Berra himself often claimed “I never said all those things I said,” but as demonstrated by his negotiations with the Cardinals he always stood up for himself and did not give in when he knew he was right. In 1985, Mr. Berra agreed to manage the Yankees again after, having held that position for most of 1984. He did it because George Steinbrenner, guaranteed Mr. Berra he would be the manager for the entire season. After 16 games, Mr. Steinbrenner, who in those years ran the Yankees with a manic and counter-productive energy, fired Mr. Berra. Feeling betrayed and furious at the man who had lied to him, Mr. Berra vowed never to return to Yankee Stadium while Mr. Steinbrenner owned the team. Mr. Berra kept his word until 1999. Significantly, it was Mr. Steinbrenner who initiated the rapprochement, but Mr. Berra insisted that rather than coming to Yankee Stadium, Mr. Steinbrenner should come to the Yogi Berra museum in New Jersey and apologize. That is exactly what Mr. Steinbrenner did. Few of Mr. Steinbrenner’s many adversaries were ever able to win that kind of concession from the man known as ‘The Boss,” but Yogi did. Yogi and his wife, Carmen Berra, were married for 65 years until Carmen died in March of 2014. Marriages that endure for that long are unusual in any context, but particularly among professional athletes. In many books, memoirs and oral histories about the Yankees of the 1950s and early 1960s, when they were at their most dominant and Yogi was their star catcher, the role of both Carmen and Yogi in supporting and helping other players, particularly younger ones, is frequently mentioned. While other players, most notably Mickey Mantle and Billy Maritn, drank hard, caroused, fought and divorced, the Berras offered stability and guidance. Of all the greatest Yankee players, only Lou Gehrig, led a life so free of even the mention of scandal, misconduct and so full of generosity of spirit. Yogi Berra’s death is a loss for all of baseball and the Yankees in particular, but it also brings to a uniquely American story to its end. Mr. Berra, the son of immigrants who grew up very poor, served his country honorably and rose to the very top of his profession, while conducting himself proudly and decently every step of the way, was a living example of much of what is great about America and of what it means to be a great American. Lincoln Mitchell is national political correspondent at the Observer. Published Sept. 23, 2015 at The New York Post. Reprinted here Sept. 24, 2015 for educational purposes only. 2. Tone is the attitude a writer takes towards his subject: the tone can be serious, humorous, sarcastic, ironic, inspiring, solemn, objective, cynical, optimistic, encouraging, critical, enthusiastic… Which word do you think best describes the tone of Mr. Thornberry’s commentary? Explain your answer. 3. Watch the video under “Resources” below. What inspires you most about Yogi Berra? To recognize Yogi’s place as an American icon, a petition has been created to award Berra with the Presidential Medal of Freedom, one of our nation’s highest honors. The only way it can happen is if 100,000 Americans sign the online form by June 1st. You can find the link at his museum’s official website YogiBerraMuseum.org. 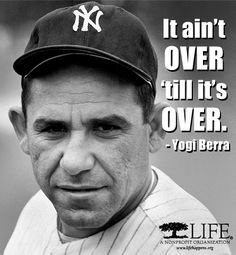 Visit the NY Yankee’s Yogi Berra page.